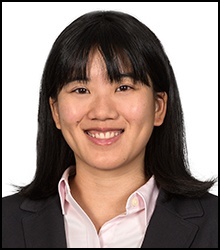 Jessica Chao assists the firm in pharmaceutical patent prosecution matters, including application drafting, U.S. and foreign patent prosecution and clearance, and patentability studies. She has extensive knowledge in the areas of organic chemistry and medicinal chemistry. In LifeNet Health v. LifeCell Corp., the Federal Circuit reiterated the importance of properly preserving claim construction issues for appeal and providing specific support for claim terms and specification terms in a patent application’s written description to achieve more reasoned claim construction. Litigants should be mindful to raise specific claim construction disputes before and during trial in order to preserve the dispute for appeal. Functional limitations defined in the negative should define a property of the recited apparatus to avoid indefiniteness for mixing method steps in an apparatus claim. Claim terms should be broadly defined in the specification, include multiple embodiments and ranges for the invention, and avoid limiting language like “present invention” and “preferably” to avoid restrictive claim construction under Phillips v. AWH Corp.